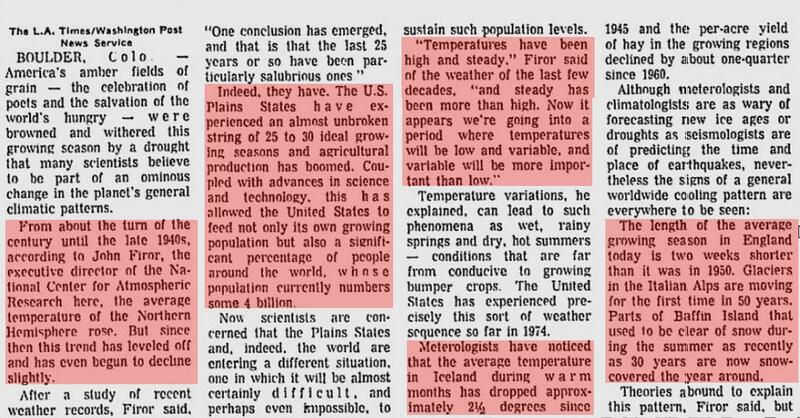 We know from newspaper records that the directors of HadCRUT and NCAR both warned of global cooling in the 1970s, yet our friends at Real Climate continue to deny that it ever happened. If the 1970s were so cold, why are we comparing it to that time, we’ve only risen a fraction of a degree since then. Read this post William Connolley? Can you say “Doh!”?